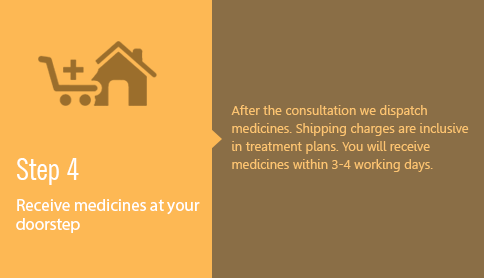 Note: Treatment plan includes Video Consultation, Medicines, Online Support & Shipping charges. 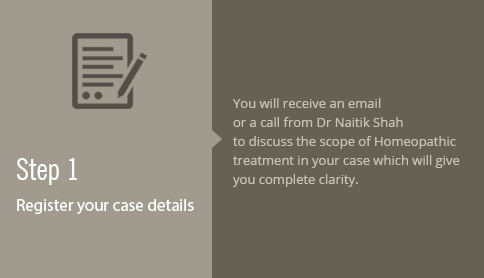 you will receive an email or a call from Dr Naitik Shah to discuss the scope of Homeopathic Treatment in your case. We recommend minimum 3 months Treatment Plan. 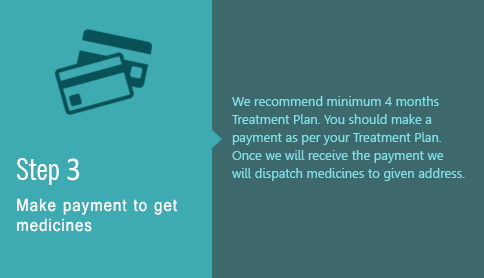 You should make a payment as per your Treatment Plan. Once we will receive the payment we will call you to book an appointment. Please check audio & video quality for hassle free consultation. Dr Naitik Shah will give 60 min dedicated time to patient where privacy is must during consultation so no one should be there with patient. After the consultation we dispatch medicines. Shipping charges are inclusive in treatment plans. You will receive medicines within 3-4 working days. Note: Video Consultation with prior appointment Only. We follow the code of ethics of our profession so we do not share any kind of personal details as well disease details with your spouse or any of your family members or relatives. So please do not expect this from us or please do not communicate for this. In the case of kids, we communicate with parents but certain data if the kid does not want us to share with parents, we do not and will not share that data. We communicate or discuss only those issues which may help the kid. During our consulting session, we will try to understand you as a person nature-wise, how you are as an individual, how you behave socially as well in a close unit. What is your own understanding or individual perception about yourself? What are your stressors, how do you utilise your internal or external resources when tensed or stressed? So please be ready for such questions. A large amount of data has been collected over 200 years whose analysis and references help us to identify similarities and possible successful treatments for numerous conditions. The maximum details from your side will help us suggest suitable and relevant treatment.